Most people love visiting Hawaii, but have you ever thought to compare Hawaii to Costa Rica? I suspect many haven’t. I sure didn’t, at least not until 2005 when I visited this gem of a Central American country. About the size of Vermont and New Hampshire combined and with a population of only 4.5 million, this country’s overwhelming natural beauty lived up to its billing. I spent nearly five days hidden away in Costa Rica’s lush mountain rain forest while visiting La Montana Christian Camps. It was a fantastic experience being greeted every morning by the calls of howler monkeys swinging in the nearby canopy and exotic birds chattering to one another. 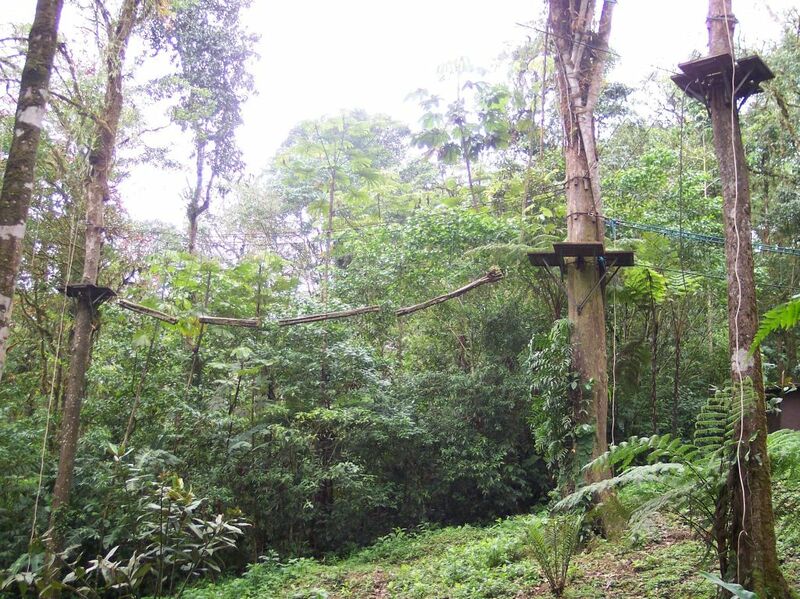 What’s more, the miles of nature trails, rivers, zip lines and other tree top activities gave a thrill unlike any other I’ve experienced. 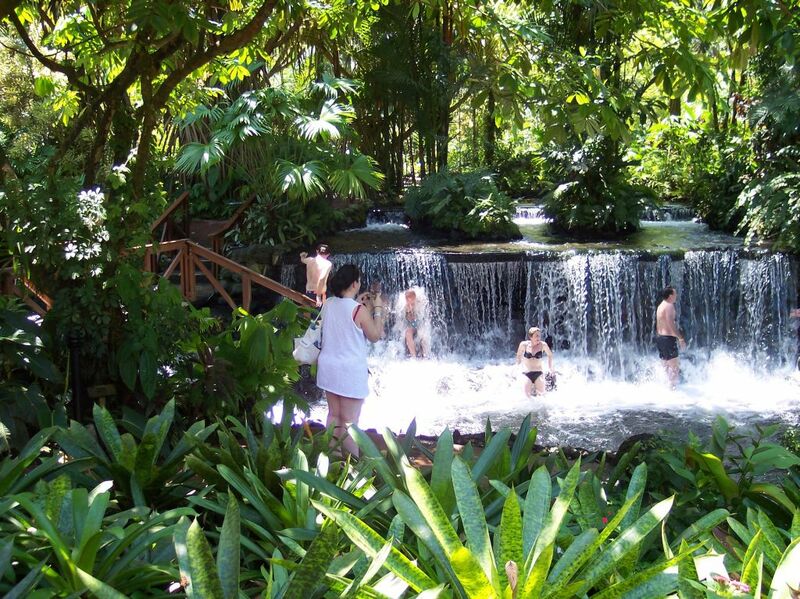 Before heading back to California and my family, we spent a day at the base of Mount Arenal at Tabacon Grand Spa. It was one of the most unique and amazing experiences. Imagine sitting in shallow rivers and under waterfalls of 100 degree water; water heated by the nearby volcano. It was the most relaxing thing ever. And anything you wanted was at your fingertips – drinks, food, a massage. But there was one thing on my trip to Costa Rica that I didn’t get to do: the beaches and snorkeling. However, if they’re anything like the rest of the country, I’m sure I wouldn’t have been disappointed. 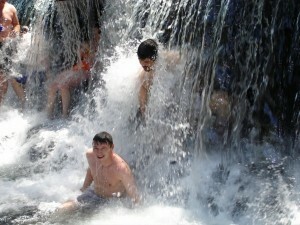 Many surfers and vacationers consider Costa Rica’s sandy stretches among the best in the world. 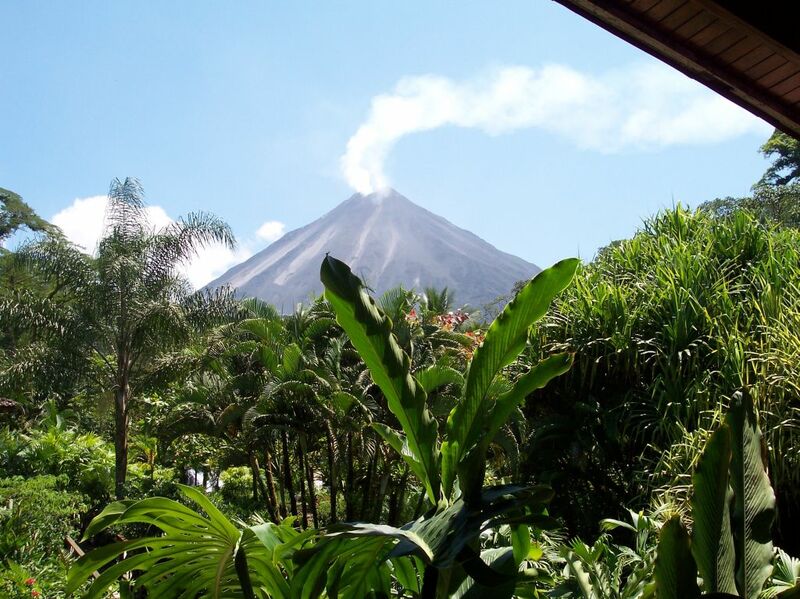 So why might Costa Rica be a better choice than Hawaii? Because it’s a fraction of the cost to visit. You get the same tropical experience – maybe even a more diverse one with the volcanic spas thrown into the mix – and you can do it for much cheaper than notoriously expensive Hawaii. 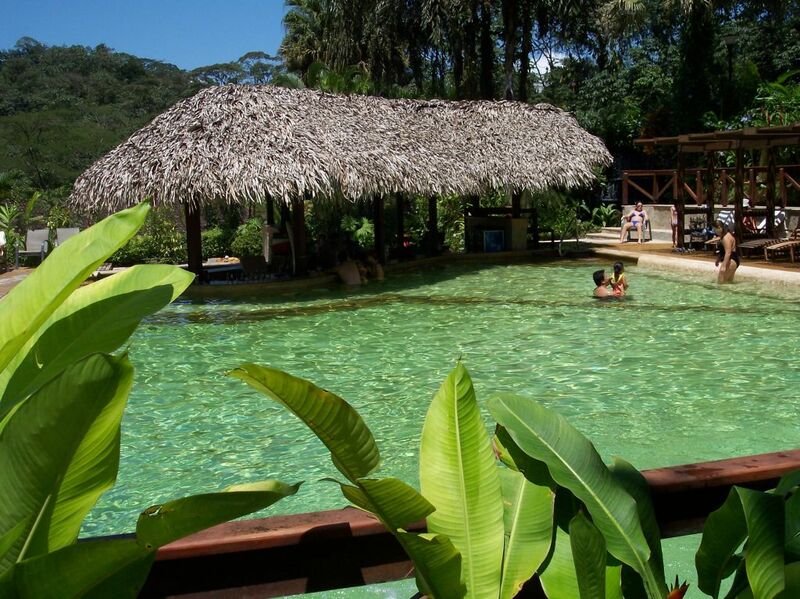 It’s also important to keep in mind that Costa Rica has a very stable government, is very friendly to the United States and because most vacation spots cater to Americans, English is understood and your dollars are accepted with pleasure. Don’t get me wrong, I love Hawaii (having been twice), but for our next tropical vacation we’re seriously considering Costa Rica. I’d love to return and we’d save some serious cash on a fantastic vacation with our large family. 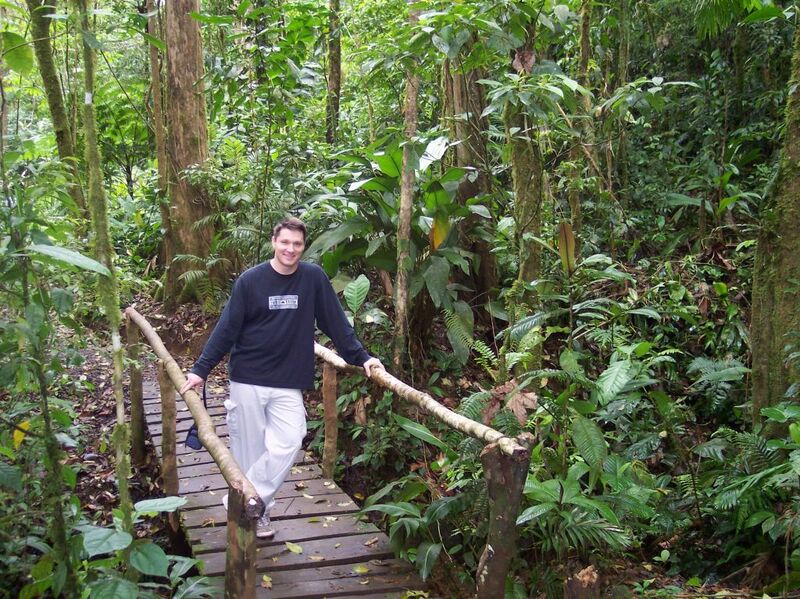 I have been to Tabacon too! Very cool (or hot, actually!). My favorite place though was the farthest south the highway runs on the Caribbean side. Totally isolated and AMAZING beaches! You can snorkel better on that side than the Pacific! That’s what I’ve heard about the Caribbean side…someday soon, I’ll be down there. Awesome. I would have assumed Hawaii would have been cheaper. One of my cousins is getting married in Costa Rica next summer. Crossing my fingers for a win so we can celebrate and go on an extended vacay!!! It’s way cheaper…even flights are cheaper than to Hawaii. I have enjoyed 3 visits to Costa Rica for 30 days each time. Rented a car which can be done from home so they just pick you up and do the paperwork there, got a map and twice drove all over staying at small family owned hotels (all very clean) along the way. No problems with finding a place and anywhere from $35 to $60 per nite including breakfast. The last time we rented at Pete’s Place near Manuel Antonio and had a lovely stay. Drank the water, ate Tico food and never had a problem. Fantastic place to go. Very affordable but high end available if you so choose. Hope to go back soon. Best memories are from the best places in the world. So spend your vacation in a memorable destination.